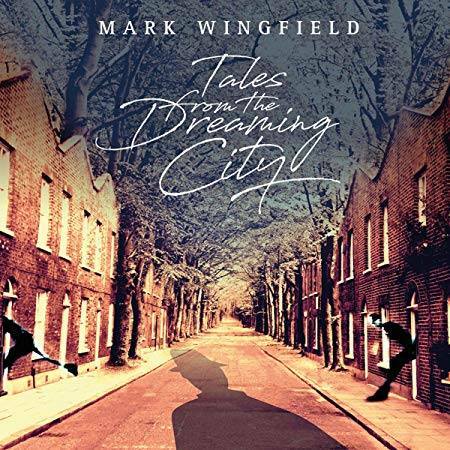 A new Mark Wingfield album is always one to have both great anticipation and expectations for. ‘Tales from the Dreaming City’ is so exceptional it cannot be fully appreciated or taken in with one listen. A heavy weight trio, plus guest Dominque Vantomine on keyboards (tracks 3,5,9,10), Mark Wingfield (guitar, soundscapes), Yaron Stavi (fretless bass), and Asaf Sirkis (drums) create a wonderful world of starlit jazz fusion that Allan Holdsworth would have been absolutely proud of. Starting things off with a knockout, ‘The Fifth Window’ (track 1) quickly takes charge in a deadly delicious dizzy masterpiece with some unusual treatments of certain notes on Wingfield’s liquid and tastefully strategically distorted lead guitar, with touches of alien effects here and there, catching the listener with a puzzled look and inner self question (‘how is he doing that?’). A dauntless beginning to a continual line up of phenomenal compositions that hold up to dozens of repeat listens, the supreme work on bass and drums from Yaron and Asaf is so much a part of this amazing release. ‘Sunlight Cafe’ (track 4) has some exotic percussion added to the exquisite soundscapes Mark provides, with relaxed atmosphere, with both punches and groove. 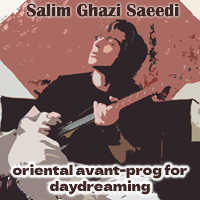 There is a magnetic balance of quick paced eventful gems and spacious mid tempo delights. Wingfield’s lead guitar work is impossible to adequately describe, as he uses a variety of both physical and electronic effects in each song. He has become a tone guru on guitar. Only he could explain what all he does but the results sound like random to critically exact placements of bends, edging, unexplained finger manipulations, quick punch ins and outs of custom effects and imagination times 1,000. ‘At a Small Hour of the Night’ (track 7) the music begins in a celestial vortex with an anxious vibe, very quiet with slow gravity, just keeping the listener waiting for something beyond. Wingfield’s notes on the inside of this beautifully designed 6 panel digipak CD talks about his stories for each piece of music, some real, some imaginary, from past, present, and future. The images one gets while listening certainly supports that. You can hear how totally into it each musician is. 200% committed. These guys always put the music first. I was left exhausted after the initial listen, in a good way. So much gifted to the audience, so many textures and magical staffs filled with intrigue, incredible sounds, and amazing musicianship. After more spins, I still stand stunned at the varied guitar work of Mr. Mark Wingfield. As if you mixed David Torn, Terje Rypdal, and Allan Holdsworth all together, but you then realize how many years Mark has been exploring this style, and understand how much the technique is his. This is Mark Wingfield and other grand musicians who have created a milestone in something once heard, you cannot forget. HIGHLY RECOMMENDED.